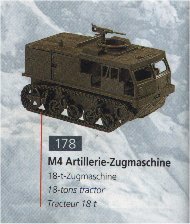 The M4 High Speed Tractor was developed to transport the 90-mm antiaircraftgun , the 155-mm 'Long Tom' gun and 8-inch / 240-mm howitzers. 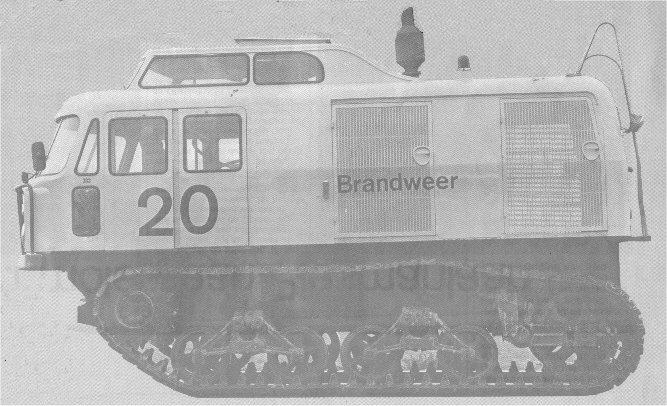 This tracked vehicle could master all kinds of terrain but it also performed well on paved roads. Depending on the towed load the M4 could reach a max. speed of 56 kmh and climb hills up to 30%. The steering is done by two handles that each influence a track. To come to a stand-still both handles have to be pulled. The crew of 10 would sit in the front compartment. The engine is in the middle of the chassis and the ammunition was stowed in the rear compartiment. A small crane to load and unload the ammunition is fitted. A 13t winch is mounted just above the tow-bar. A total of approximately 5.500 were built in between 1943-1945. Made by Roco, injection moulded plastic. Cat# 178 from the Minitanks series. In the early 1960s, Amsterdam Airport was looking for vehicles that could be used for recovery purposes. 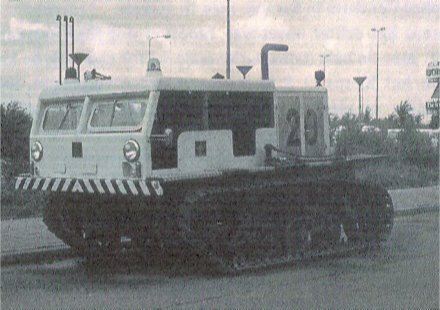 The equipment available at the airport in those days was not capable of crossing the many ditches that were on the airport terrain, and therefor the decision was made that the new vehicles had to be tracked. 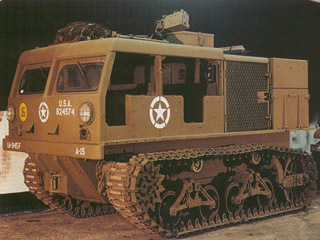 Eventually, the airport firebrigade found three used M4 tractors in a US Army dump in Cologne. One of them was to be used as a recovery vehicle, the other two were to be converted to crashtenders. The recovery M4 was basically left unchanged, the ammunition compartment was removed and the top hatch was closed. The other two tractors had their complete body replaced so they could be used as crashtenders. Both had two monitors on the roof and sometimes pulled one or two 16000 litre tanktrailers. In the 1980s the airport authorities decided that the M4 crashtenders, which had been held as reserve, could be withdrawn from service. 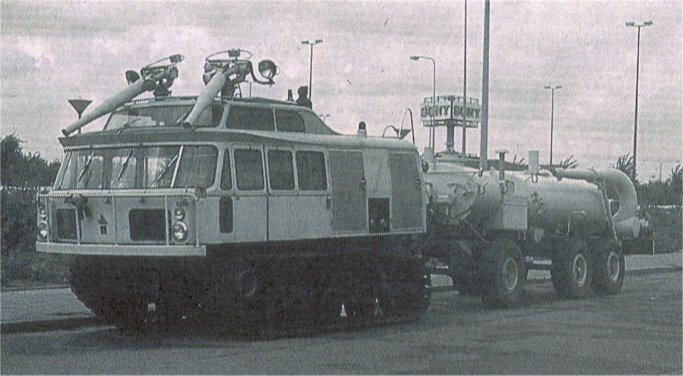 (Mainly because of a lack of spareparts and the availability of newer crashtenders) The M4 that was used as a recovery vehicle and one of the crashtenders were taken apart, the last crashtender lost its firefighting equiment and remained in service as recovery vehicle. Made in 1942 by Allis Chalmers Mfg. Co. on a Pacton chassis. Body made in the early 1960s by Saval-Kronenburg. Waukesha F817G engine (210 bhp at 2100 rpm). Weight 14.243 kgs, length 5,06m, width 2,46m, height 2,52m. Equipped with a 13,5t winch.